Launching a chapter and crowdfunding a trishaw. 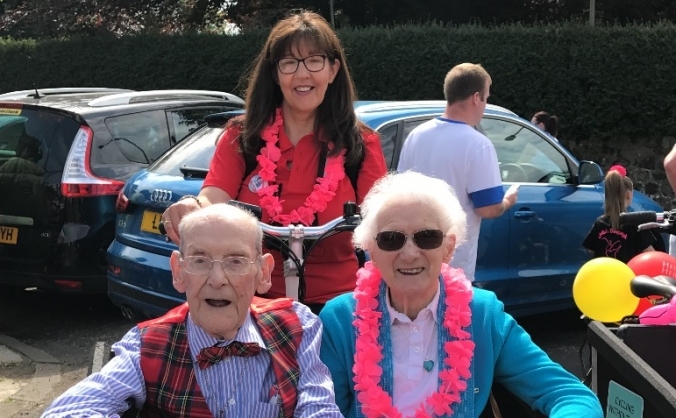 Cycling Without Age is a nationwide initiative that offers free bike rides to local nursing home residents on a specially designed trishaw, tackling loneliness and isolation which occurs too often when senior citizens become confined to their own homes. 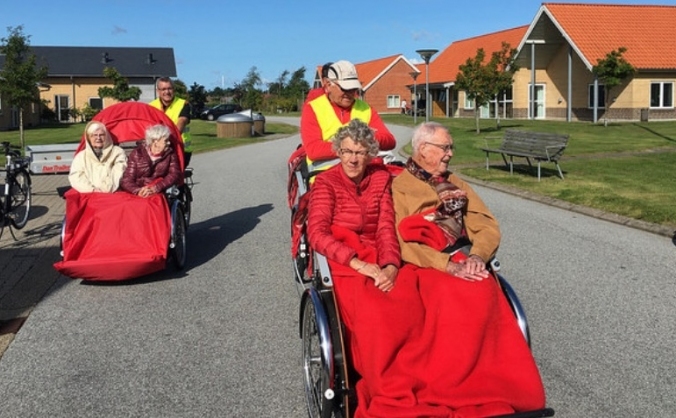 Ole Kassow launched the endeavour in 2012 with his uniquely designed trishaw, enabling volunteers to visit local care and senior citizen facilities around the community to offer residents an opportunity to be a passenger. 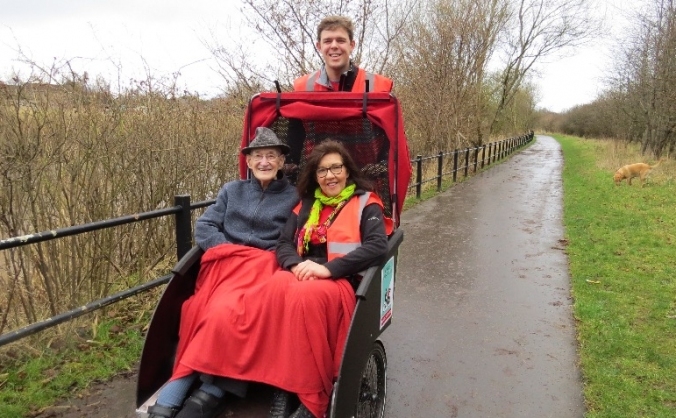 Since launching, communities all over the UK have been inspired to rally together and fund more trishaws so that they can offer local elderly residents the freedom to get outdoors and explore the world around them. 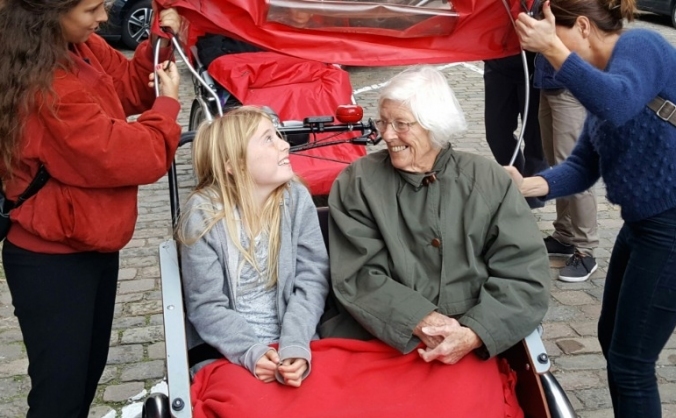 Seven Cycling Without Age chapters are now live and crowdfunding to raise the £7,000 needed to purchase their first trishaw! Three prizes of £1000, £500 and £250 are up for grabs for the three projects that manage to generate the highest number of supporters throughout their crowdfunding campaign. Don't forget to keep an eye on the scoreboard to see how they're getting on! We are still raising funds to to purchase a Trishaw for the benefit of the whole community particularly lonely elderly residents. To buy our first Trishaw - to take local elders and care home residents out on ‘Trishaw’ cycle rides ...... to feel the wind in their hair! We are raising funds for the purchase of 'Trishaw' number one, plus accessories for passenger comfort. Its simple. Local volunteers take elderly residents from Care Homes out on cycle rides - and we need your help to make it happen. 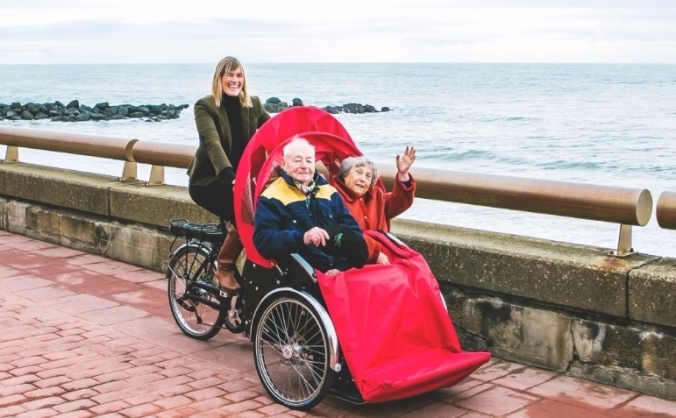 As seen on Amazing Humans - this project takes elderly residents out of Care Homes for cycle rides! We need funds to purchase more Trishaws! Please help us get a second volunteer-powered Trishaw, to get care home residents get out and about to feel the wind in their hair by bike!